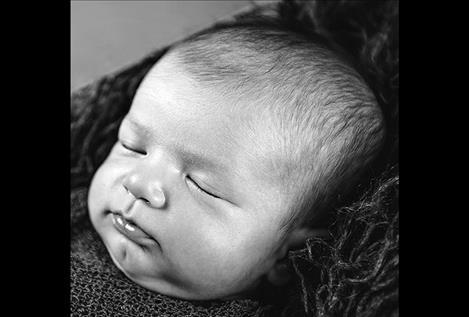 POLSON — Ace Alan Doyle was born July 25, 2017, at the Nesting Place in Providence St. Joseph Medical Center. He was 20 inches long and weighed 6 pounds, 8 ounces. Ace’s parents are Tressa Hunt and Cody Doyle of Polson. Other siblings are Adin and Allie Hunt. Maternal grandparents are Tia and Brent Lange. Maternal great-grandparents are Jody and Robert Gould. Paternal grandparents are Diana and Jay Doyle. Paternal great-grandparents are Karen and Alvin Shaw and Patricia Doyle. POLSON — Marguerite and Simon Brenner are excited to announce the birth of sister, Asha Lou Moss Velocity Brenner. She was born Sept. 1, 2017, at the Nesting Place at Providence St. Joseph Medical Center. Asha was 20 inches long and weighed 7 pounds, 2 ounces. Her parents are Cynthia and Louis Brenner of Polson. Maternal grandparents are Jeanne and Charles Arnold. Maternal great-grandparents are Marguerite and Forest Doyle and Marie and Harry Arnold. Paternal grandparents are Angela and Conrad Brenner. Paternal great-grandparents are Loucile and Louis Brenner. 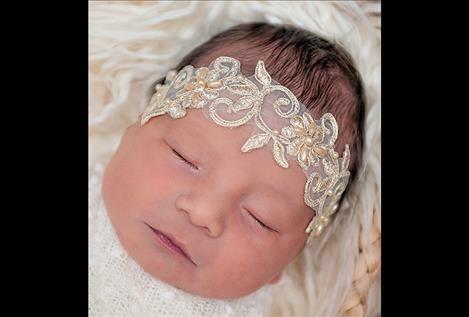 POLSON — Avayah Ember Rose Walking Eagle was born Sept. 6, 2017, at the Nesting Place in Providence St. Joseph Medical Center. She was 19 and one-quarter inches long and weighed 6 pounds, 11 ounces. Avayah’s parents are Malia Vanderburg and Jesse Walking Eagle of St. Ignatius. Maternal grandparents are Jody Jones and Joe Vanderburg. Maternal great-grandparent is Joseph Vanderburg. Paternal grandparents are Laurie Old Horn and the late Robin Walking Eagle. 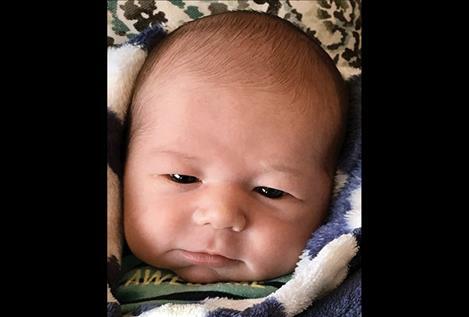 Paternal great-grandparents are Lou Old Horn and Patt Matt Sr.
KALISPELL — Easton Corval Becker was born on Aug. 3, 2017, at Kalispell Regional Medical Center. 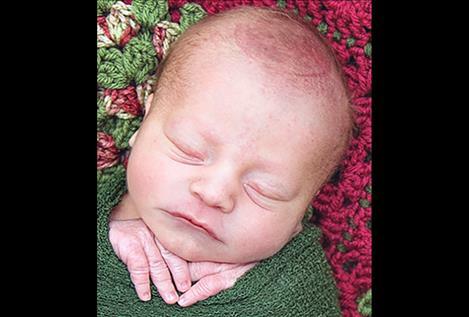 He was 20 and one-half inches long and weighed 8 pounds, 15 ounces. 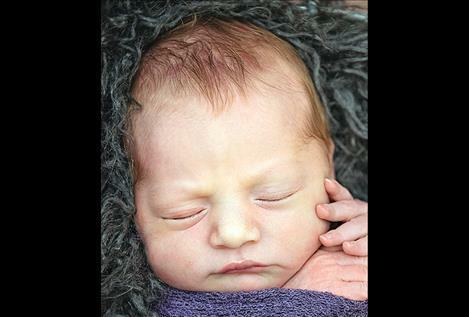 Easton’s parents are Jossolyn and Marcus Becker of Kalispell. His big sister is two-year old Addison Becker. His maternal grandparents are Jim and Debi Sattler, and his maternal great-grandparents are Dave and Karen Guyer of Boise, Idaho, and Reinhilde Sattler of Chino Hills, California. His paternal grandparents are Dale and Marilyn Becker of Polson, and his paternal great-grandmother is Patricia Schneider of Howard, South Dakota. POLSON — Cole Seward announces the birth of brother, Lonnie Cliff Seward. Lonnie was born Aug. 22, 2017, at the Nesting Place in Providence St. Joseph Medical Center. He was 19 and one-half inches long and weighed 6 pounds, 8 ounces. Lonnie’s parents are Kelsey and Wes Seward of Ronan. Maternal grandparents are Colleen and Cliff Young. Maternal great-grandparent is Irene Young. Paternal grandparents are Debbie and Ray Seward. Paternal great-grandparent is Jean Ingeberg.